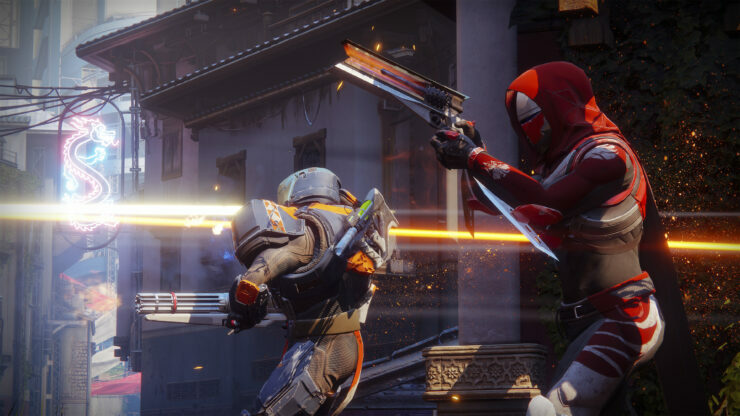 SuperData, the gaming industry research firm, revealed today their estimate that Destiny 2 will sell between 4 and 5 million digital units across PC and console in its first three months of digital sales. Apparently, 3 million copies are expected to be purchased on PC only. In developing their forecast, SuperData evaluated the performance of Destiny 1 on console and how it compared to other AAA titles that launched during the same time period. The forecast also takes into account the expected early September launch date of the title, the impact of a Battlenet release on PC and macro-level digital download trends. 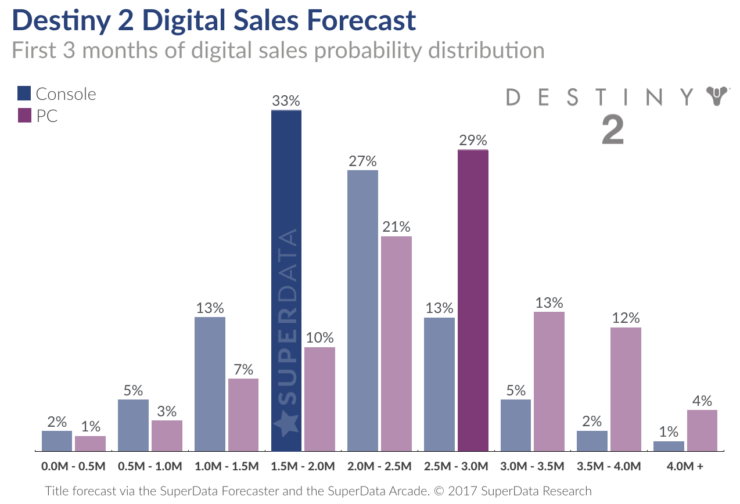 This analysis comes from the newly released SuperData Forecaster, which provides a quantitative analysis of historical sell-through across 500+ titles, enabling a more accurate estimate of future success for upcoming titles. The Forecaster takes into consideration the franchise historically as well as publisher, genre, sales for previous titles, total monthly active users and critic’s reviews, among other factors that influence sales performance. Destiny 2, the sequel to Bungie’s 2014 hit, will be available for beta testing next week on PlayStation 4 and Xbox One, with pre-order customers having early access to it. The final game will launch on those platforms on September 6th. PC gamers, on the other hand, will have to wait a bit longer. Their beta test is due sometime in August and Destiny 2’s release on PC (via Battle.net) has been finalized for October 24th. That said, this will undoubtedly turn out to be the definitive version of the game, as pointed out by Kai in his E3 2017 hands-on preview. Whereas Destiny 2 will run at 30fps even on PlayStation 4 Pro and Xbox One X, on PC there will be unlocked frame rate, 21:9 Ultrawide support and many other bespoke features. Will the game sell as much as SuperData is predicting? We’ll know soon enough.